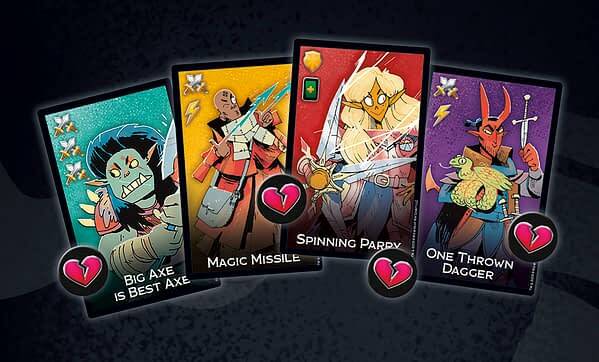 This morning, Wizards of the Coast announced a new Dungeons & Dragons-themed card game on the way this November called Dungeon Mayhem. The game is a fast-paced, easy-to-learn, deck fighting game between 2-4 players, where you will play as one of four characters trying to outlast the others. 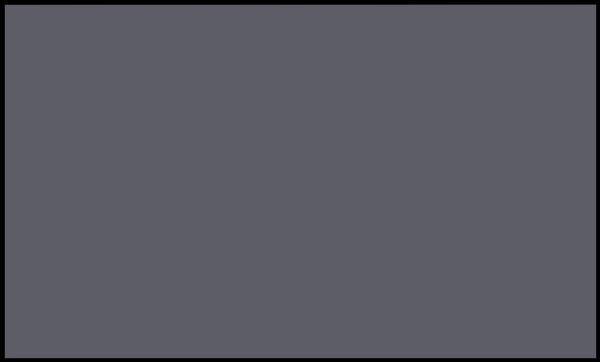 You can play as a barbarian, paladin, rogue, or wizard using the items and spells given to you in order to vanquish your opponents and get the treasure at the end of the game. 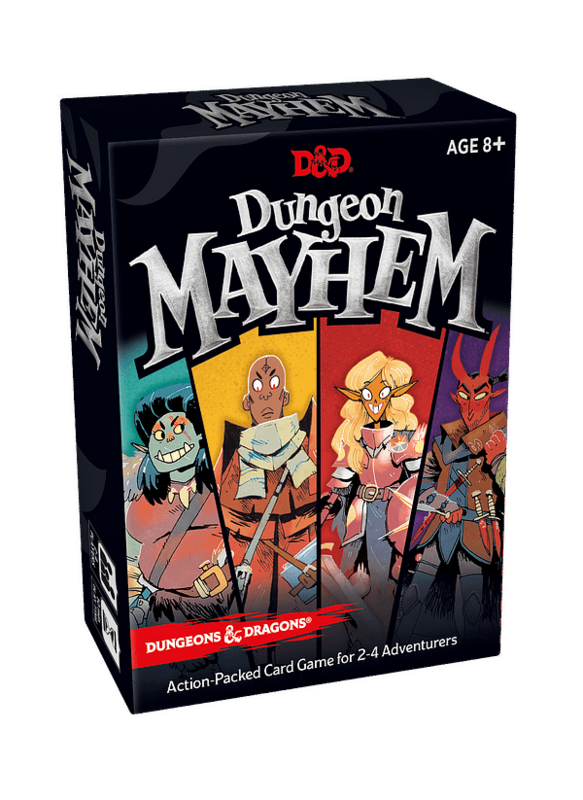 Dungeon Mayhem will go on sale on November 16th for $15, which is a pretty decent steal for a game that requires no additional decks to play or build on. But we’re guessing if the game is a success, D&D may create new ones down the road to play as different characters. Here’s a snippet from the press release sent this morning. Everything you need to play Dungeon Mayhem comes in a small package, but it certainly packs a big punch. 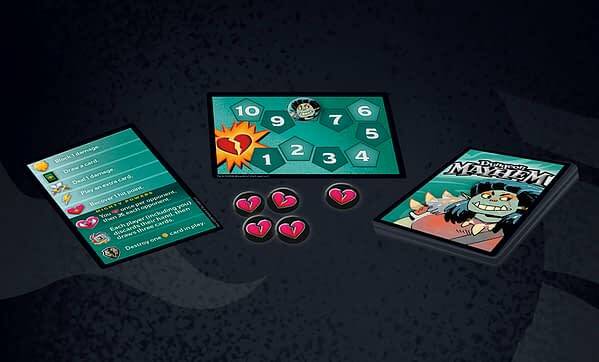 Designed by Jordan Comar and Roscoe Wetlaufer to bring players into the D&D multiverse, Dungeon Mayhem can be a quick palette cleanser in between marathon gaming sessions or a make for a full night of gaming with several escalating rematches. Novice players can learn how to play in under five minutes while a game of Dungeon Mayhem is over in less time than it takes to skin a displacer beast – under 15 minutes.